Whether you are looking for an individual sleeper unit or a combination of units making up a modular building, R.S. French and Containex can help. Ready for occupancy within weeks. Individual room layouts available in all sizes and configurations. These cabins are produced in accordance with the strict environmental and quality standards “Containex Green Technology’. 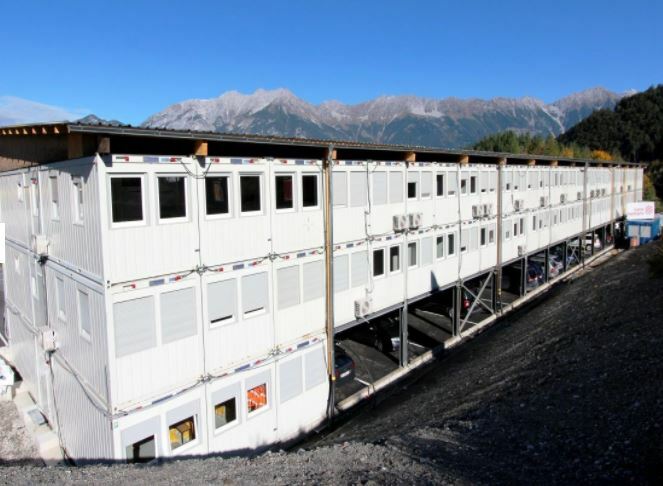 These range from the purchase of materials to delivery of cabins. To optimise transport costs, Containex has developed the Portable Cabins as ‘flat-packed’. The so called ‘Transpack’ Container comes in a flat-pack package and is assembled at the desired destination. Using this system, up to 10 x 20ft portable accommodation units including wall elements can be transported on one truck.